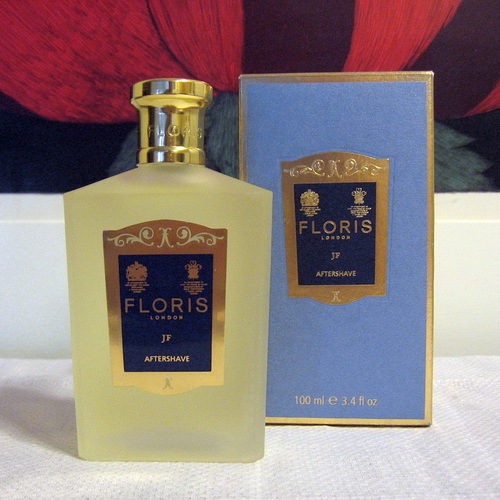 This is a new, unused Floris JF splash aftershave. Launched in 1993, JF has aromatic, floral and wood notes. It opens with bergamot, coriander, lemon, lime, and mandarin; the heart consists of cypress, jasmine, juniper berries, and petit grain; and the base is amber, cedar, moss, and musk.